100% Organic massage oil 6.5 oz glass bottle. Infused with Arnica Flowers, St. John's Wort, Peppermint and Eucalyptus to soothe tired and sore muscles. 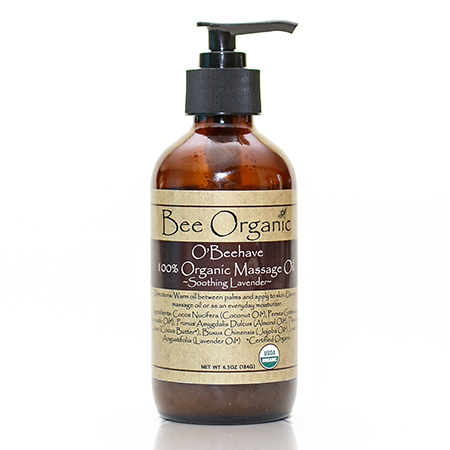 Used by industry leading professionals, this organic massage oil is USDA certified organic. This Massage Oil is high in antioxidants which help fight free radicals which prematurely age the skin. 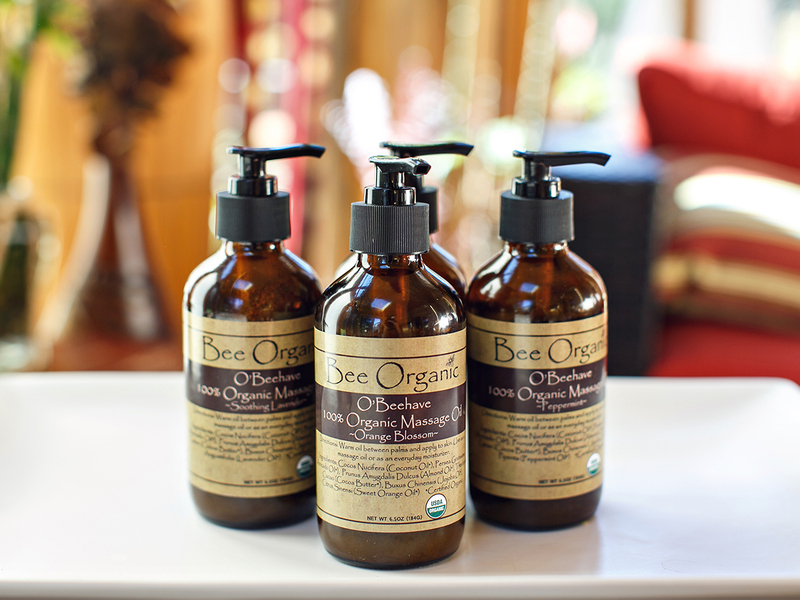 All Bee Organic Products are Raw, Organic, Cruelty Free, Non Gmo, Vegan, Gluten Free, Soy Free, and Chemical Free. There are no artificial scents or chemicals used at any point in the production of this product or its ingredients. Note: Color may vary slightly as this is a raw natural product. For best results, warm slightly and mix thoroughly before application.